When setting up your organic kitchen, it is wise to begin by getting a good Kitchen Water Filtration System and purification process in place. Clean water is the basis of life and health; therefore, it is naturally the basis of good organic cooking. Although we as a society have been convinced by corporations that we must buy bottled water in order to be safe, this is actually quite untrue. Water from your local public utility is generally treated in a way that makes it safe to drink. This treatment does not necessarily make it desirable to drink, though. Public utilities must use chemicals to kill off viruses, germs and bacteria. Before you use tap water, you are wise to filter it to remove these chemicals and other common environmental toxins. Additionally, in these modern times all water (including well water) generally contains heavy metals, pesticides, herbicides, pharmaceutical runoff, and other chemical contaminants. Microbial contaminants also present specific challenges in even the cleanest water from natural settings. For all of these reasons, it is smart to have a good filtration and purification system for your water. In this article, we will describe several different methods of filtering and purifying water, and we will provide sound advice on making the right choice in filtration equipment for your kitchen. Read on to learn more. Water from your local public utility has been filtered and treated to make it potable. Basic filtration removes particles and contaminants and chemical treatment and kills off germs and parasites. The standards set by the Environmental Protection Agency are quite stringent, so if they are correctly followed you can trust your tap water to be safe to drink. Adding an extra layer of filtration and purification ensures that it is not just safe but also beneficial to your health. There are a number of good choices for filtering and purifying your tap water at home. Doing so entails an initial investment. However, once you have established your water filtration system, purchased a reusable stainless steel or glass water containers to carry your water, you will save a veritable fortune on drinking water. Additionally, using filtered water in cooking improves the flavor and nutritional value of the dishes you prepare. If you are on a tight budget, your initial outlay of cash can be very affordable, indeed, and it can save you’re a great deal of money in the long run. 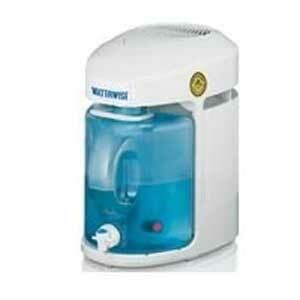 One of the cheapest methods of water filtration is to simply purchase a filtration pitcher. This basic technology has been around for several decades, and you can buy a very effective pitcher at your local grocery store, drugstore or online. Brita and PUR both make very good water filtration pitchers for around $20. There are a number of different brands of pitcher filtration systems, but Brita and PUR are definitely the best known and most established. Both of these brands filter out nearly 100% of chlorine and lead with PUR outperforming Brita by 2-3% in each category. Specifically, Brita filters out 94% of chlorine, while PUR filters out 97%. Brita filters out 95% of lead, while PUR filters out 97%. The difference is quite small, but it is one you will want to keep in mind when making your selection. Filtration pitchers use granulated, activated charcoal filters. These effectively remove chlorine and a number of heavy metals. They are not effective against volatile organic chemicals, fluoride or endocrine disruptors which are often found in water these days. In terms of cost, Brita and PUR are fairly equal. The initial cost of the pitcher ranges from $20 to $30 depending upon the style and the number of filters that are included. Filters for both types of pitchers generally run from $3 each to $7 each depending upon whether or not you buy in bulk. Additionally, there are now some generic brands available that are even more affordable. Filters can last up to 3 months depending upon use and good storage. 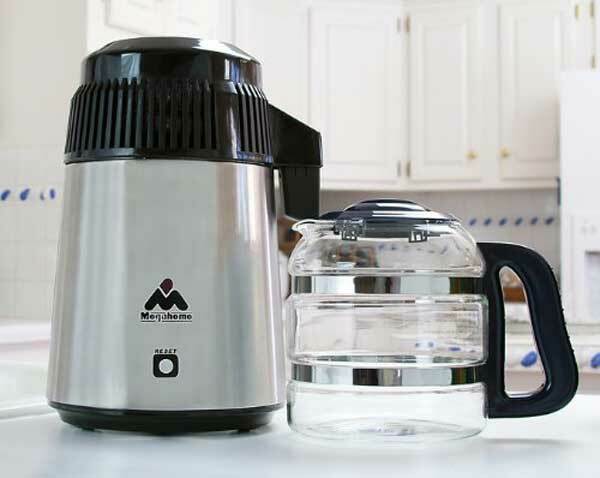 You must keep water in your pitcher constantly to keep the filter moist and prevent the growth of mold and/or bacteria. Additionally, you should keep your pitcher in the refrigerator to prevent the growth of organisms and extend the life of your filters. In the past, PUR had a bit of an edge in terms of design because it presented a slimmer silhouette that fit better in the refrigerator. Now both brands make a variety of sizes, styles and designs so choices abound! Although PUR does outperform Brita by a bit, in the final analysis your choice between these two brands may very well rest on your personal preferences in design. Although this type of filtration system is not perfect, it is quite helpful. 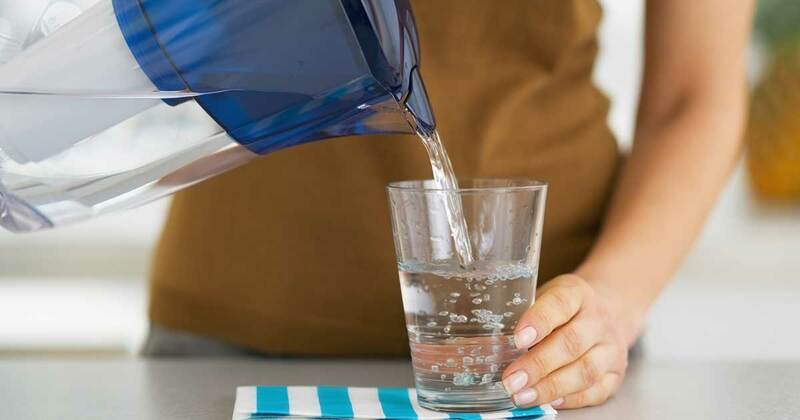 If you are facing financial challenges, getting started with a filtration pitcher for only about $20 can be a smart and easy choice. Your home-filtered water will provide you with consistently good quality drinking water and will cost you about fifty cents a gallon. That’s a tremendous improvement over the cost of bottled water. Both Brita and PUR also make faucet filtration devices that can be installed to filter water as you run it. This is another handy and affordable way to get started saving money by filtering your tap water. A step up from pitcher filtration is reverse osmosis (RO) filtration. This type of filtration uses a fine membrane to remove water contaminants. You can add reverse osmosis filtration to your pitcher filtration system by simply filtering your tap water first with RO and then with your pitcher. This is a smart idea because the granulated activated charcoal removes chlorine, and the semi permeable membrane of a reverse osmosis filtration system removes a great number of other contaminants. This type of filtration system must be installed under your kitchen sink. The downside of having a reverse osmosis filtration system installed is that you end up wasting quite a bit of water. Because the membrane is very dense, water does not flow through it quickly. Additionally, you must have very good water pressure for the water to be forced through the system, and several gallons are rejected for every gallon that is filtered. Another downside is that this type of filtration removes some beneficial minerals such as magnesium and calcium from the water. The two top producers of RO systems are Tap Master and iSpring. Below you will find basic information on some of the best picks from these two high quality companies. Tap Master filtration systems are not only more effective than other systems, they are also more efficient. The reason for this is that their fittings and tubing are up-sized for faster water flow. Another great advantage of Tap Master systems is that they reintroduce minerals (calcium and magnesium) to the water at two points during the filtration process. The first re-mineralization occurs in the storage tank. The second occurs as the water enters the faucet. TMAFC is one of the most highly rated RO systems available. The TMAFC produces very pure water through a seven stage treatment method. It effectively removes 98% of all heavy metals, chlorine, dissolved solids and other contaminants from water. In addition to being efficient, the TMAFC is sturdy and durable. Its filters are designed for long term use and longevity. In fact, each filter can treat up to 2500 gallons of water and can be used for as long as a year. The TMULTRA is similar to the TMAFC in both design and features, but it also does an excellent job of eliminating microorganisms from water. For this reason, it is very good for use with well water. The TMULTRA is even more efficient than the TMAFC thanks to the included Fast Flow RO Kit. This accessory doubles the flow of purified water from your tap. Another advantage of the TMULTRA is the Audible Alert feature that lets you know when it is time for a new filter. The fact that the housing and filter of this unit are of a modular design makes your annual filter change outrageously quick and easy, and no tools are required. All Tap Master RO water filtration systems are very highly rated due to the many special features they include and their outstanding and efficient performance. The 75GPD model is a five-stage filtration system that includes processing through several 5-micron filters. The 5-micron sediment filter removes particulate matter. The 5-micron GAC filter removes chlorine taste and smell. The carbon block filter removes residual taste and color. 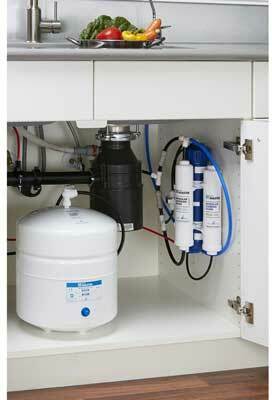 A reverse osmosis membrane removes chromium, sodium and a variety of contaminants. A “polishing” GAC filter adds the finishing touch between the storage tank and the faucet. The iSpring 75GPD storage tank is made of stainless steel to ensure high quality and no leeching of flavors. The system is completely noise-free. The iSpring RCC7AK is an RO/Alkaline water filtration system with a six-stage process. The six steps involved in its process are the same as those performed by the 75GPD with the addition of an alkaline filter added after the polishing filter. This step greatly improves the taste and health benefits of the water. While reverse osmosis filtration does remove heavy metals, asbestos and arsenic, it does not remove VOCs and endocrine disruptors. It does remove fluoride which may or may not be a plus to you. While some people do not want to ingest fluoride, others do for the tooth and bone health benefits fluoride is said to deliver. Whether or not you and your family wish to ingest fluoride is a matter of personal choice. Water distillation is another choice that you might turn to if you have heavily contaminated water. For example, distillation would be a viable choice in situations such as the lead poisoning that has recently occurred in Flint, Michigan. It would also be very useful following a natural disaster that negatively impacts water supplies. In the process of distillation, heat is used to convert water to steam. The steam rises into a cooling chamber and condenses into liquid. This process kills bacteria, removes a great number of contaminants and reduces large particles such as asbestos, arsenic, heavy metals, fluoride and minerals. It does not remove volatile organic compounds or endocrine disruptors. Distilled water is not a good choice for regular drinking and cooking. Aesthetically, it lacks flavor and/or “mouth-feel“. In terms of health, it lacks all mineral and salt content. Additionally, commercially purchased distilled water sometimes contains traces of the chemical cleaning agents that are used to keep the distillation containers clean. Although distillation is not the complete answer for water purity, a countertop distiller can be a very handy (but costly) appliance to have. All of the distillers listed here are very similar in size and shape to a standard coffee maker. The WaterWise 9000 is a relatively economical choice at only $399, yet it consistently earns very high ratings (4-5 stars) from reviewers. This unit produces a maximum of 5 gallons of distilled water daily. The distillation process kills germs, bacteria and viruses as well as removing VOCs and contaminants. The WaterWise is also equipped with an organic coconut shell carbon water filter for VOC removal. This filter is recyclable and environmentally friendly. This addition produces water that is distinctly better than that which is usually produced by distillation. It has a fresh, clean taste. It’s important to note that regular cleaning is necessary to avoid a buildup of minerals which might negatively affect the taste of the water. WaterWise is very lightweight and compact. It takes up little room on your counter top, and it is easy to take along when you travel. Another model from WaterWise is the 8800. This unit is also relatively affordable at $399, but it has not proven as popular as the 9000 and generally only rates 4 stars from reviewers. Nonetheless, the unit is simple to use and does produce reliably safe drinking water at a rate of one gallon every four hours (or 6 gallons a day). It is a sturdy little workhorse that can be kept running 24/7, and it has a programming feature that lets you set it up in advance so that you will have fresh, clean water waiting for you when you arrive home from work or when you get up in the morning. Just fill the stainless steel boiler with municipal or tap water, set your parameters, press start and go your merry way. The 8800 features an LCD display that lets you know when it is time to change the carbon filter. Like the 9000, the 8800 uses both distillation and carbon filtration to produce good tasting, purified water. The MegaHome Countertop Water Distiller is a roughly $225. This top-performing item is simple to use, high quality and consistently earns 4-5 stars in user reviews. In addition to distilling water, the MegaHome-Water Distiller also has carbon filters for removal of VOCs. This appliance takes up very little space on your kitchen counter and produces 4 gallons of purified, filtered water daily. The glass collection carafe is another further ensures pure, good-tasting water. Glass leaches no contaminants, minerals or odors into the water. 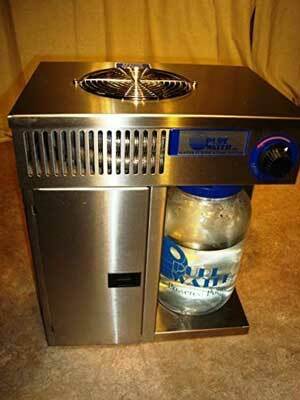 It can be sterilized and is easy to clean with the handy bottle brush that is included with this distiller. The MegaHome is simple and safe to use thanks to its automatic shut-off feature. When the distillation process is complete and the water chamber is empty, the machine turns itself off. The Mini-Classic II is a bit costly at $599, but its durability and high quality justify the price. This counter top distiller has no plastic components. If you are concerned about carcinogens leached into water from plastics, this is the distiller for you. The Mini-Classic is a remarkably durable appliance that is made entirely in the United States. It is programmable, simple to use and produces 6 gallons of pure water daily. This unit consistently earns 4 Star reviews from users and is hailed as a good value even with the slightly elevated price tag. One of the very best choices in water filtration systems available today is the solid block carbon filter. The Environmental Protection Agency recommends this type of filtration system for removal of bacteria, fluoride, chemicals, pesticides, herbicides, and volatile organic compounds. A good solid block carbon filtration system can filter any kind of water. It can be used to render contaminated water, pond water, rainwater, river water and water from your local public utility completely safe. You should note that if you are filtering very un-pure water through your solid block carbon filter system, the filters will become clogged quickly and will need to be cleaned and/or changed more frequently. A convenient carbon block filtration system can sit on your countertop, and it works using the power of gravity. This is great because it means that you can create clean water under all kinds of adverse conditions. For example, in the event of a natural disaster this type of filtration can keep you and your family supplied with safe potable water without the use of electricity (which is needed for water distillation). A solid block carbon filtration system is also long-lived. Although purchase of the system represents a significant investment, you can expect a high quality system to provide you with good service for a couple of decades. Not only that, this type of system is versatile. Because it is portable, you can take it with you when you go camping or traveling. Generally speaking, Berkey is the go-to name when it comes to water filtration, and the Berkey BK4X2-BB (aka: Big Berkey) solid block carbon filtration system is no exception. This product is extremely popular and consistently earns 4-5 star ratings and rave reviews. The BK4X2-BB works using very much the same concept as a water filtration pitcher. The device has a tank on top that you fill with municipal or well water. The gravity drip system allows water to pass through the carbon block filter and collect in the reservoir below. You take your water from the reservoir to meet your cooking and drinking needs. This type of filtration is not as fast as pitcher filtration because the filter is dense and solid, unlike the loose carbon in the pitcher filters. This is why the BK4X2-BB produces much better results than a pitcher. Big Berkey can produce about 3.5 gallons of water that is free of pathogens, chemicals and harmful substances per hour; therefore, it is classified as a water purifier rather than as a simple filtration system. While water filtration pitchers are only intended to filter chemicals and minerals from water that has already been treated (i.e. municipal water), carbon block purifiers can remove unwanted elements from municipal water, well water, rainwater, pond water, etc. Additionally, carbon block filters are far more durable and long lived that pitcher filters. They work using a technology known as ionic absorption, which is extremely efficient and allows the filters to last for a very long time. Solid block filters should be cleaned regularly to extend their life even further. With proper maintenance, a carbon block filter should last you about four years. Most users find Big Berkey to be top notch; however, there are a couple of things you should know about the filter components. Although the housing and fixtures in the BK4X2-BB are mostly made using stainless steel, there are a few plastic parts. One very sensitive plastic part is the wing nut that holds the filter in place. This must be tightened periodically, but you have to be careful because it is easy to strip the grooves off this delicate piece. Because these wing nuts are sensitive, it is hard to get the filters properly seated and secured. This can mean that some unfiltered water can leak past into the reservoir. It takes practice and patience to hit the right balance when it comes to tightening these wing nuts. Another plastic part that is troublesome is the dispenser spout. It must be handled with some care to prevent cracking and damage. If it becomes damaged, it is sure to leak. As with filtration pitchers, you must be careful to keep your BK4X2-BB filters clean to prevent the growth of bacteria. If you are not going to use your system for an extended period of time, you must remove the filter, clean it and allow it to air out and dry. Otherwise, bacteria and mildew will grow on it and ruin it. Even with its few drawbacks, the Berkley BK4X2-BB remains consistently popular because it does a remarkable job of producing pure, good tasting water. Under-Counter Multi-Stage Filtration Is Top-Notch! The latest and greatest of the water filtration and purification systems available for home use is the under-counter multi-stage filtration system. This type of system puts your water through a 14-stage process that uses most of the methods that have been described so far in this article. Additionally, other processes are involved such as ultraviolet light and mineral enrichment of the final product. This type of filtration and purification is extremely intensive. As a result it removes nearly all contaminants and enriches the resulting product for the best health benefits. This type of filtration system is installed beneath your sink, so you do not need to fill pitchers or countertop devices, and you can use your counter space for other things. In addition to the purification equipment, the Radiant Life 14-Stage water purification system also includes a separate faucet that can be mounted beside your kitchen sink to dispense only drinking water. This added step prevents contamination from your much-used sink faucet. The very top of the line in multi-stage water purification is the Radiant Life 14-Stage Biocompatible Water Purification System. Though each of these represents a fairly hefty investment, if you want really pure, clean, tasty, safe water the Radiant life multi-stage purification systems can’t be beat. Multi-step water filtration and purification purifies, restructures, alkalizes, sterilizes and adds valuable minerals to your water. Radiant Life 14-Stage water purification systems are unique because they use two different forms of purification (de-ionization and reverse osmosis) in three separate steps. The first half of the fourteen step process eliminates all toxins. The second half creates delicious, balanced water that is delightful to drink and marvelously beneficial to your health. Which Kitchen Water Filtration System Should You Choose? The very best system for any home is one that includes a whole house system at the point where water enters your home’s plumbing system. This will ensure that you have clean water for bathing and washing clothes. In addition to this basic treatment, you should also include special filtration for drinking and cooking in the form of one or more of the filtration and purification methods discussed here. The first thing you should keep in mind when selecting a water filtration system for your organic kitchen is that, no matter which one you choose you will be better of than you are using either plain tap water or bottled water! If you long for a top-of-the-line under-counter multi-stage filtration system but just don’t have the money now, don’t despair! Buy yourself a Brita or PUR pitcher and a reusable glass or stainless steel water bottle. Then sock away all the money you save when you stop buying bottled water. You will soon have the money you need to purchase the system of your choice! Other factors to weigh include convenience and counter space. If you have very limited space in your kitchen, you will naturally gravitate toward an under-the-sink or on-faucet appliance that will stay neatly out of your way. When choosing between these two, keep in mind that on-faucet appliances can be turned on and off so that you are not filtering every drop of water you run. This is handy for washing dishes and running water for cleaning. It also helps save money on filtration supplies. Your use of your water filtration device should also inform your decision. If you spend a lot of time camping and hiking, you should select a device that can filter germs, parasites and impurities out of natural water. An RO system and/or a Solid Block Carbon Filtration would be good choices for you. Of course, there is no reason why you should not have a variety of systems for different uses. It’s always smart to be prepared for any eventuality. Keeping your organic kitchen well equipped with a couple of different types of water filtration equipment is a wise idea.